In a recent post, I weighed the repercussions of how disturbing it was to have observed a homeless man and his dog as he staggered across a busy street and crashed through the perimeter bushes of a downtown grocery store. Just a few days later there was another disturbing story involving a dog in a grocery store parking lot. I didn’t observe this occurrence. But it happened at a grocery store I often stop at for quick purchases. A woman had a dog on a leash and was walking through the parking lot. 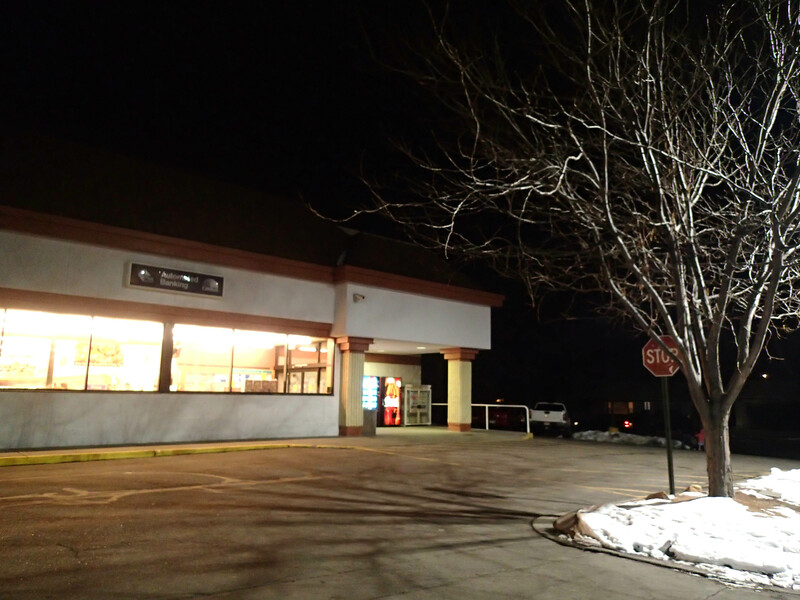 As she neared the entrance area to the store, the leash got wrapped around the pole of a stop sign. While she attempted to remedy this, the dog broke free and went straight toward two little girls who were coming out of the grocery store with their father. The dog attacked one of the girls, biting her body and pulling on her jacket. The man, who had a concealed carry permit, pulled out a gun and shot the dog in the hindquarters. The debilitated dog continued to attack the girl. The man shot it once more and it dropped to the pavement, still. But still alive. “I don’t have the heart,” said the man. And the dog lay there, alive, until just shortly before Animal Control arrived. As far as I know, the little girl will be okay. The man was not charged with any wrongdoing. The dog is dead. And the woman walking the dog? Well, she claims to not be the owner and to not know who does own the dog. This story, though far more violent and disconcerting, is not nearly as disturbing to me as the other dog-in-the-parking-lot incident. I know, from writing about the both of them, that it’s because I didn’t witness the latter. I can hardly set the scene and my story has no detail. The only dialogue I included was what I read in the paper. I can’t describe the characters, can’t build the tension, and I’m sure I didn’t evoke much feeling in you, the reader. While there must have been plenty of emotion for those who were involved, as well as for any bystanders, I am not feeling what I should. I wasn’t there. I heard about it secondhand. And this is precisely why I’m not as disturbed. But what if I had been there? I backed out of the diagonal parking space, straightened my vehicle, and then put it in drive. But I didn’t drive. There was a woman and a dog and something wasn’t quite right. The woman tramped through the snow on a median in the parking lot, though there was plenty of dry pavement upon which to walk. The coat she wore, way oversized, hung open, a thin rope protruding from far within a too long sleeve. Just as my eyes got to the dog–a pit bull or pit bull mix, black–at the end of the rope, I noticed the two girls. I had seen them in the store, in the produce section and again in the toilet paper aisle. Children always catch my eye–and I try to catch theirs–but I was especially attentive with these two because they reminded me of my two daughters about ten years ago. Five and six, maybe. They were well-behaved and helping their father with the shopping, counting apples and putting them in a plastic bag, lifting a 12-pack of toilet paper rolls together, rolling it up and over the edge of their cart. Now here they were again. Pink jackets. Matching. They weren’t twins; it was obvious that one was older since she was taller. But perhaps as the years went on and they got closer in height people might mistake them for twins. Holding onto each other, walking, hugging, laughing. Tuned into each other way more than their surroundings. My girls were always like that. Still are. The dad took hold of the hood of one of the sisters’ jackets as the three of them entered the parking lot. And then the mayhem started. The woman stepped out of the snowy median onto the asphalt, stepped to the right of the stop sign there at the crosswalk in front of the store. She didn’t see that her dog had gone to the left, wasn’t expecting the thin rope to be jerked from her hand, her hand that was far within the sleeve of her oversized coat. The dog, perceiving the sudden lack of tension on the rope, looked over at the woman. Then he turned his attention to the girls. The girls–giggling, squirming, just at his level and headed in his direction. He bolted. Three lightning speed leaps and he was on the littlest one. Growling and biting. Biting her arm, once, twice, and then her sleeve as she turned into her older sister, who was instinctively turning toward her father. Both girls were screaming as their father let go of them. Let go of them and stepped away. Stepped away as if he was leaving them to the dog. The pack of toilet paper dropped from beneath his left arm as his right hand went to his pocket. Some pocket hidden in the side seam of his baggy gray sweat pants. And out it came with a gun, a small pistol. And then it was up and in the air at the end of his extended right arm. The dog dropped, whimpering loudly, seemingly before the crack of the shot, just inches from the girls, huddled together there without their father, who had stepped away from them. The woman screamed, hurling herself toward the dog with such force that she landed, chest first, on the pavement, fingertips reaching for her companion. The dog paid her no heed, rose up into an awkward sitting position, and lunged at the youngest again, his hind legs dragging behind him. Another crack and he was went down. Still. But still breathing. “Put him out of his misery!” came the muffled voice of the woman. The father scooped his girls up, both of them at once, into the spot where the toilet paper had been. The gun, in his right hand, as well as his eyes, stayed trained on the dog as he shook his head and curled his lips in. Okay, how about now? Are we disturbed yet? I am. And I didn’t even write about how everyone had to hang around for 15 minutes, waiting for Animal Control to arrive. Waiting for the police. Waiting, and watching, while the dog slowly died. And the woman? She appeared to be homeless and seemed to be walking around town with a dog that was out of control and dangerous, a dog that should not have been in a public place, a place where small children might be. So many vagrants these days have dogs and, often, those dogs follow them around off leash. And what about the gun, the gun that was magically there? The gun that was shot in a public parking lot, just feet from two little girls, from others who may have been coming out of the store, from those like me (had I really been there), who were in their cars, or near them, ten, maybe twenty feet away, perhaps in the path of the firing gun, but on the periphery, in the shadows, unseen by the shooter, the shooter who had just one concern on his mind anyway, to kill the dog that was attacking his child. I’m not even going to get into concealed carry and how many people are or need to be walking around town with guns. In this instance, it was a good thing, a good thing that father had a gun on him. But, needless to say, things could have gone awfully wrong in this scenario. So many disturbing things here. If you were there. If you had seen it, witnessed it, and thought of all the alarming elements. But I didn’t actually see it. I read about it. It caught my attention and it did stick with me, but probably because I had recently written about a homeless person in a grocery store parking lot with a dog along for the crazy ride. Had I not, I may not have given this story a second thought. Why is that? Are there too many things we need to think about every day? Too many normal things? Are we too busy and rushed to notice the things that would otherwise disturb us? Or do we learn to filter out what disturbs us? Learn to ignore or look the other way so that we’re not constantly dealing with the stress and the concern of what goes on around us? Survival. On so many levels. *Based on a true story, but not all fact and accurate details. I was not there, did not witness the event, and did no follow-up on the report that I read in the newspaper. I saw a disturbing scene the other morning. It wasn’t a typical day for me. I didn’t leave my house and drive to work as usual. Instead, I headed in the opposite direction to an all-day class. And on the way to my class, I made a quick stop at City Market, the downtown location. I was feeling carefree and content as I got back into my vehicle. Though I wouldn’t be there, I knew all was in order for my students to have a productive day without me. I had caffeine and a banana and a little something sweet in hand for breakfast. And I was looking forward to a worthwhile day of professional learning. I didn’t particularly want my happy morning to be disturbed. There was honking. Different rhythms, different tones. Different horns being played by several different drivers. The honking was coming from 1st Street. First street has four lanes and is quite busy, especially at 7:45 in the morning, but when I looked up it was at a standstill. A man, in a grungy tan coat, was staggering through the middle of the street. It was apparent that he wasn’t trying to get to the other side of the street, necessarily; he didn’t seem to realize that he was in the street. His gaze, skittish yet glazed, flitted from the direction of the honking horns, down to his seemingly unruly feet, to his left hand, which danced in front of his face like a suspended marionette appendage, the cigarette there powerless in connecting with his waggling head. And behind him. He kept glancing behind him. Not from where he had come, which was too distant, both physically and in his memory, but to the street. There was something on the street that, unlike the traffic and his wayward body parts and that cigarette, was better able to maintain his attention, his focus. He was a short-haired heeler mix, dressed smartly in a clean puffy jacket zipped down his spine. I watched as he wandered toward one of the stopped cars, the passenger side, and looked longingly at the window, hoping, perhaps, to get in, to be taken somewhere, somewhere other than this currently confusing situation. I considered, briefly, opening my door and calling him into my vehicle. But that would leave the man alone. After a few seconds, he turned and trotted after the man, following him faithfully. The man stepped onto the sidewalk and into the shrubs that lined the parking lot. Really? I thought, as the man slogged through the bushes. You have to go through the vegetation instead of around? And then I knew. Any compassion I may have initially had for this human being had turned to anger and complete disappointment. It was the dog. It was one thing to get himself into this situation, to be so messed up so early in the morning, to not know where he was or where he was going, to put his life at risk as he wandered aimlessly through the city, across busy streets. But to get a helpless being involved? To bring a creature as wonderful as the dog into this mess? The man mangled several of the dense, low-lying branches of the bushes before he got hung up and tripped, falling onto his left shoulder to the pavement of the parking lot. The dog leaped the span of shrubbery and went straight to the man, sitting down near him, nuzzling his face. The man grasped the dog’s head and used it as leverage to get himself into a sitting position. And that’s the last I saw of them–a man and a dog sitting face-to-face on the pavement of a grocery store parking lot–as I drove away, away to my own day. And what in the world was going on with my feelings? Why did the concern I felt, initially, for this human being dissipate so quickly and turn to anger? Was it easier that way? Easier to be angry than caring? Did being angry make it easier to drive away and continue on with my day? Disturbed. What right did this guy have to disturb my otherwise wonderful morning? What a horrible question. What right did I have to be upset with a slight disturbance, when his entire life might be one big disturbance? To himself, to society. Most of us don’t want to be disturbed, including me. It’s easier to not look, not see, to just drive away and get to a place where my mind can quickly become preoccupied with something else. Something more normal, less perplexing and muddled. And I find that terribly disturbing, exponentially more disturbing than the scene that disturbed me in the first place. I suppose that’s what’s supposed to happen. We get disturbed and if we get downright disturbed, or get disturbed often enough, then we might actually force ourselves to notice, to really see what’s going on, to take action. I am grateful for those who are there already, who are able to recognize their feelings, who are willing to take the time and make the effort to do something. I am disturbed that I don’t feel that pressure. Am I selfish? Uncaring? Powerless? Too busy? I’m busy working, teaching children, raising my own. Busy doing what I can to make sure others don’t end up in the same shoes, the same street, the same parking lot as this man. Yeah, that’s a pretty good answer. I’m busy making sure others get a good start in life. It’ll stop my disturbance meter for now. But it’s definitely gone up a notch. It’s been on my to-do list for about two weeks—pay it forward.